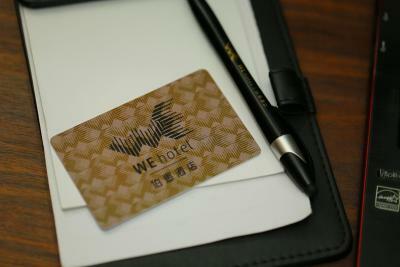 Lock in a great price for WE Hotel – rated 8.4 by recent guests! 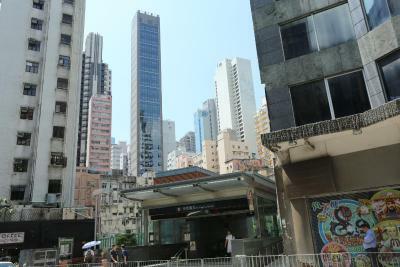 comfortable bed, only 2 rooms on each floor so not much noise, very close to MTR, and short walk to Central area. This is a very basic hotel. The location is good, the staff are helpful and friendly, and that's really about it. It's clean and quiet and in a walkable area near-ish to metro and trams that will take you anywhere. It was very reasonably priced in an expensive city. Location was great in Sai Yin Pun... close to metro. Friendly front desk. Very clean. Could see out to the harbor if you poked your head out our window. Good hot water, internet. Location was great and hotel room was clean and comfortable enough. The price we paid was not bad for HK but it really is case of you get what you pay for. The cleanliness! The place, especially the bathroom, was SPOTLESS! And as a "clean freak" this was extremely important to me! Some of the staff I had to deal with barely spoke English, but they made every effort to understand and help me. Overall, I would definitely stay at this place again. 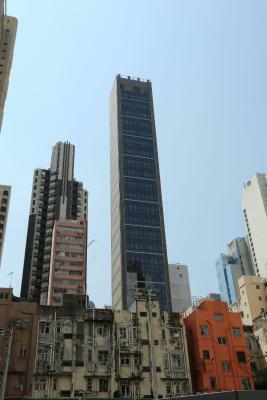 Great location on Hong Kong Island. 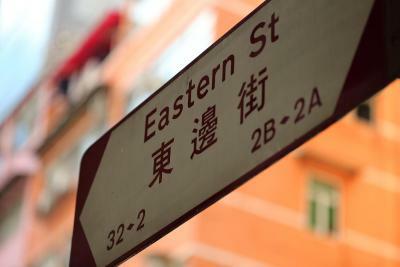 Stroll along Hollywood Road for art galleries, cafes, bars and restaurants. Nice, large rooms. Mine was on an upper floor and also had a city view. 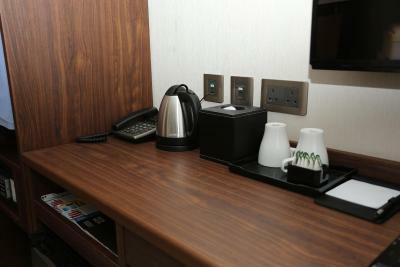 Coffee and tea are available in the room. 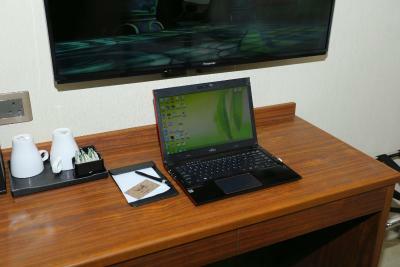 The hotel staff was very helpful and spoke good English. Plenty of stores and small supermarket are around the corner. Cheap, clean, modern and walking distance to Central. Great. Hope they have a gym and improve lobby’s restroom. 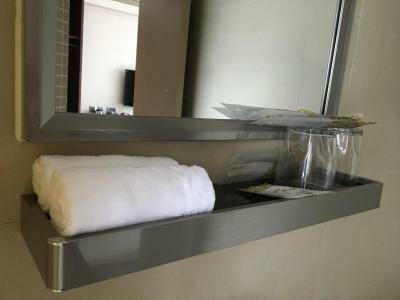 WE Hotel This rating is a reflection of how the property compares to the industry standard when it comes to price, facilities and services available. It's based on a self-evaluation by the property. Use this rating to help choose your stay! WE Hotel, a name arrived from the combination of the words "WEST" and "EAST", represents a mixture of the modern Western culture and the traditional Eastern heritage. 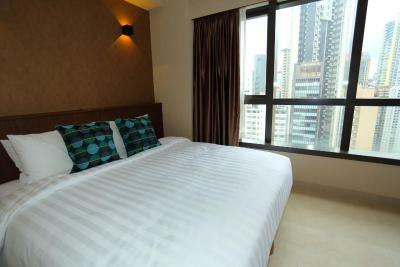 It offers excellent accommodations and 48 spacious guest rooms with great open views of the busy city of Hong Kong and a glimpse of Victoria Harbor at their upper rooms and suites. 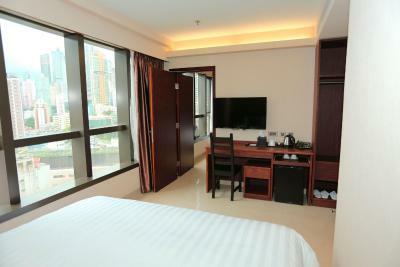 With just 2 rooms on each floor, guests can enjoy a highly private and cozy environment with comprehensive amenities. 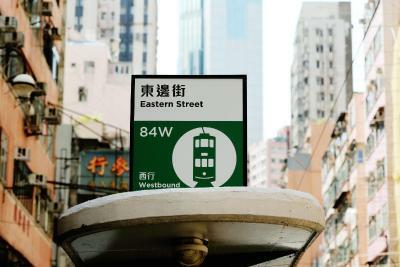 Located in the outskirt of Central, WE Hotel is only a minute away from the MTR Sai Ying Pun Station (Exit A1) and a few steps away from Eastern Street Tram Station (84W /15E). 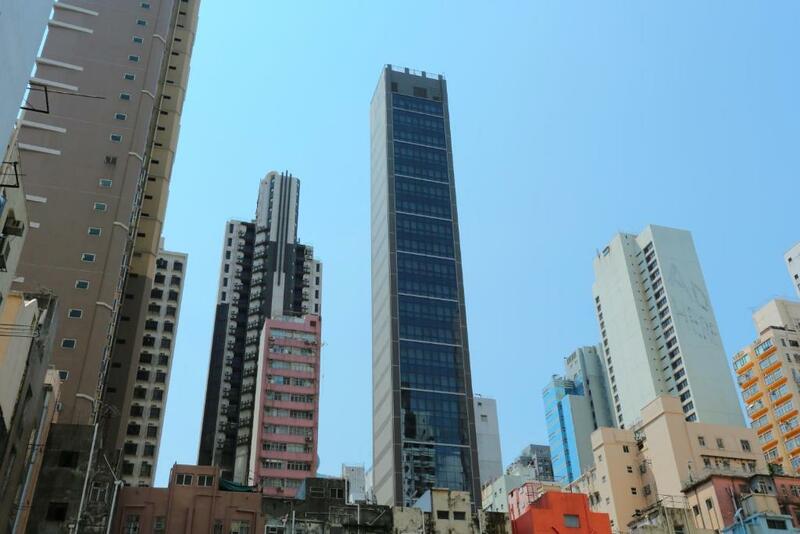 It is only a 10-minute drive from Hong Kong Convention and Exhibition Center, a 15-minute ride from Ocean Park and a 30-minute ride from Hong Kong International Airport. 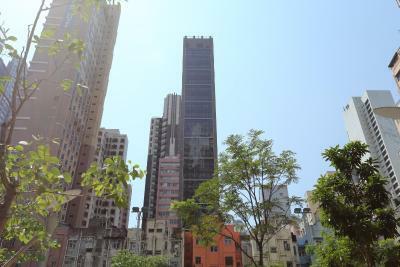 Popular points of interest nearby include Dried-Seafood Market, Hong Kong Macau Ferry Terminal, SoHo District, Cat Street, Antique Street and Hollywood Road. 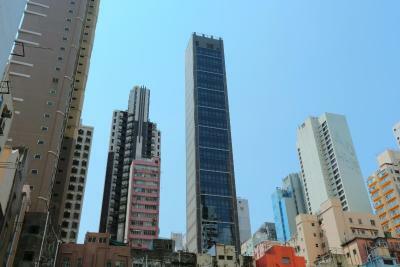 Lan Kwai Fong is less than 20-minutes walking distance and Central Star Ferry Pier is only 0.9 mi away. 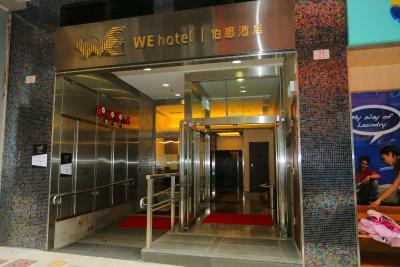 When would you like to stay at WE Hotel? This twin room comes with city views. 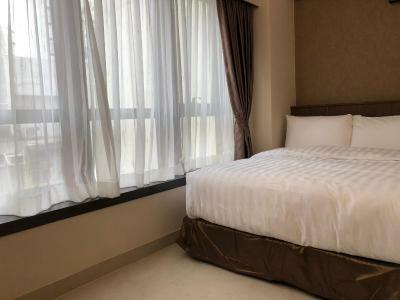 With superior city views and partial sea views on upper floors, this spacious room comes with 2 single beds. Offering a king-size bed, this spacious room features magnificent city views, overlooking mid-level hillside and partial sea views on upper floors. 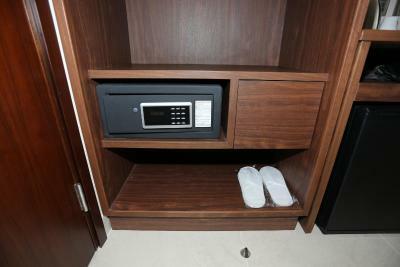 This double room comes with barrier-free facilities, including shower area, toilet handles and emergency call bell. House Rules WE Hotel takes special requests – add in the next step! 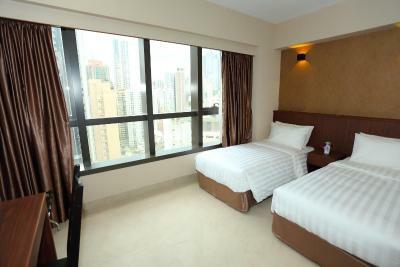 Any additional older children or adults are charged HKD 330 per night for extra beds. WE Hotel accepts these cards and reserves the right to temporarily hold an amount prior to arrival. Guest is required to indicate payment currency upon payment, otherwise Hong Kong Dollars will be used by default. The walls are a bit fine, we could hear people outside and neighbors. Very clean room and bathroom, comfy and large bed, amazing location! Very good breakfast place called Winston’s 2 minutes walk. No free water given in room, but there is water filter at lobby area. Location is good, away from traffic, hence quiet but within easy reach of public transport. Check in and out, easy and fast. Allow early check in as room is available. Restaurant needed. At least for breakfast. Was there any breakfast? We could not see any dining room. loud air con, quite expensive, no free water in the room. Hardest mattress I have ever slept on. Like a slab of concrete. Impossible to get any sleep. Also, air conditioning was on lowest setting and room was still warm. It was cooler in the hallway. Was so uncomfortable I checked out early, explained precisely why I was leaving, and, of course, didn't get a dime refunded. Oh, and the staff member who I complained to said people complain about the mattresses all the time. Will never stay here again. Place was spotlessly clean. Staff was friendly. It was very basic. Front entry & reception area needs some attention. One thing hotels are doing is to ask for a ‘damage’ deposit what do they think ? Single female traveler is going to trash the room. That and if the deposit was placed on my credit card, they said it would be credited back within 14 days.. just not right. Convenient location. Good access to transportation. Clean & presentable. Good WiFi. The owner was very helpful. Clean and conveniently located. The beds are hard as rock. The power only works when your keycard is in, which means you can't leave anything charging and the airconditioning is off when you're out. The room was so small I had to climb over my husband to reach my side of the bed right next to the wall. The staff was the best part of our stay. They were very helpful, friendly and interesting & interested to talk with. Check-in process was a little bit complicated wish signatures, receipts, and deposits.